In 1981, the Virgin Mary appeared to six young people in former Yugoslavia. She has appeared every day since. Mary's message to the visionaries, and to the world, is a call to return to God. Millions of people have changed their lives because of Medjugorje; the fruits of these apparitions are profound. 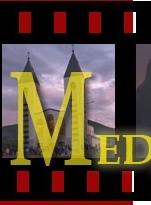 This website is intended to allow you to see Medjugorje for yourself. Hear about the Medjugorje message from the visionaries, priests and pilgrims themselves, and witness apparitions and miracles that are commonly experienced by pilgrims in Medjugorje. Visit our growing Video Library to watch some of our free online documentary videos. 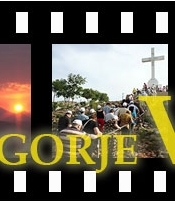 Also, see Medjugorje in real-time with our live Medjugorje Webcam where you can watch pilgrims climbing Apparition Hill throughout the day and night. Thank you for visiting our site, and God bless you on your path to conversion.